2121 Columbia Pike provides you with everything today's discerning renters are looking for including unique apartment interiors with open-concept layouts and all the touches of home, unparalleled community amenities that you can enjoy just steps from your front door, and an acclaimed location less than three miles from the heart of Washington D.C. Finding a place to call home doesn't have to be a challenge when you are choosing from well-appointed studio, one-, and two-bedroom apartments with open-concept layouts and floods of natural light. Each of our distinguished homes offer newly renovated kitchens and bathrooms boasting plenty of counter space, cupboard storage, and top-of- the line appliances. The classic lines and effortless flow of our home layouts feature floor to ceiling windows that frame breath-taking views of D.C. and northern Virginia. Expansive closets make it easy to find a place for everything, and each of our homes includes utilities, so you can find a place that's right for you without breaking the bank. Breathe a little easier with a selection of community features that include on-site maintenance, fully-equipped laundry facilities, and concierge services that help you finish your lengthy to-do list. Fit living into your schedule with our high-tech business center and state-of-the-art fitness gym with 24-hour access so you can work up a sweat on your schedule. Explore a new level of living with our rooftop pool and sundeck—the perfect place to unwind after a long day as you take in the views of the city. At 2121 Columbia we know that where you live is just as important as how you live, and that's why we are perfectly positioned to give you access to shopping, dining, entertainment, and more just minutes from home. Our apartments will shuttle and transport you to Pentagon City where you can enjoy local retail and dining or catch the Metro into downtown D.C. Live the life you've always dreamed of. 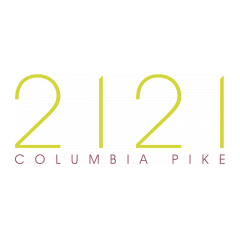 Schedule an appointment with a leasing agent today to begin making 2121 Columbia Pike your new home in Arlington, Virginia.